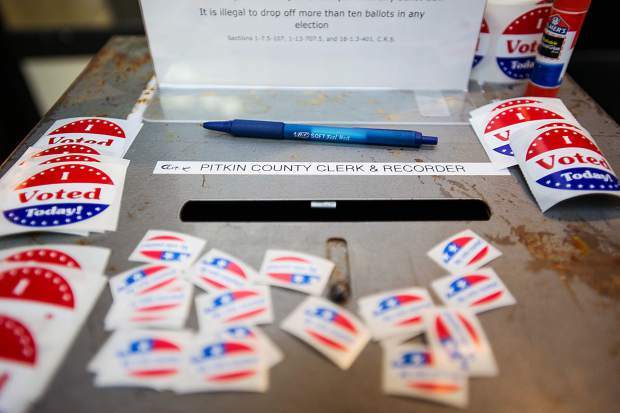 Pitkin County "I Voted" stickers at the Clerk and Recorder's office. 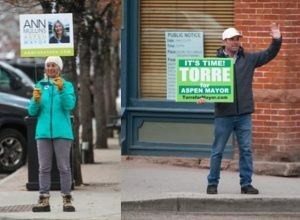 Aspen mayoral candidate Ann Mullins raised just over $1,000 more than her opponent, Torre, during the last reporting period in the April 2 runoff election. 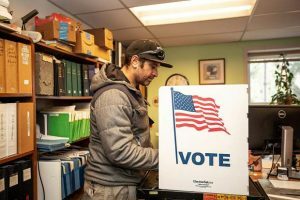 Since the two candidates received the most votes in the March 5 municipal election but failed to get 50 percent of the vote plus one, they have been on the campaign trail vying for the top elected post in City Hall. As of Tuesday afternoon, 1,202 ballots have been cast in this mail-in election, according to City Clerk Linda Manning. Between March 13 and March 25, Mullins raised $3,645 and Torre raised $2,500. Thus far in their campaigns, which began this past winter in the lead-up to last month’s election, Torre has raised just over $11,000 and Mullins almost $20,000, according to campaign finance reports. Mullins spent $3,721, with just over $1,000 on hand at the beginning of this latest reporting period. She received just over two dozen donations that ranged between $50 and $250, the maximum amount a candidate can receive in an election cycle. Jim DeFrancia, one of the developers behind the Gorsuch Haus hotel that Mullins supported as part of the Lift One corridor proposal that voters approved in March, gave $250 to her campaign. Nan Sundeen, the director of Pitkin County’s health and human services and a Carbondale resident, donated $100 to Mullins’ campaign. Aspen Daily News columnist Lorenzo Semple gave her $100 and Belly Up owner Michael Goldberg gave $250. She spent the most money on newspaper ads during the reporting period, along with posting and printing. Torre spent almost $2,700 between March 13 and March 25, with just over $2,100 on hand at the beginning of the reporting period. He had 21 donations, ranging from $50 to $250. 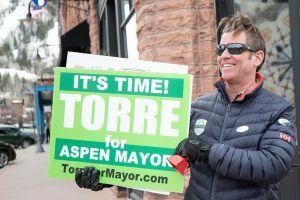 His donors include Independence Square owner Terry Butler, affordable housing developer Peter Fornell and Pitkin County Sheriff Joe DiSalvo, all of whom gave $200 or more. Torre spent money in this reporting cycle on a promotional event at Aspen Tap, newspaper advertising and filers. The runoff is an all-mail election. 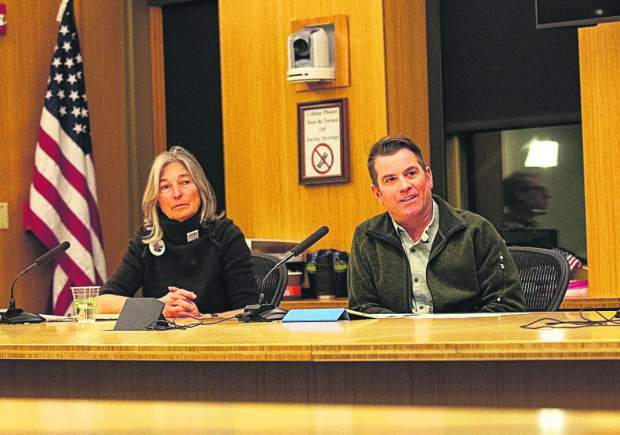 If voters registered in Aspen have not received their ballots, contact the City Clerk’s Office. Ballots will be accepted until 7 p.m. on Tuesday, April 2. In-person voting can be done in the clerk’s office on the second floor of City Hall.